Innovative product calls for innovative marketing. All the marketing strategies we can learn from Apple, Samsung and Huawei. With the recent release of Samsung Galaxy S10 and preview of Huawei Mate X, tech geeks around the world have been busy reviewing and analyzing each series. The internet is flooded with opinions on the trending “foldable” physique of a smartphone. Crypto wallet is one of the most exciting feature of Samsung Galaxy S10, as the bold move from Samsung affirms the potential and promising future of crypto trading and blockchain technology. However, Samsung’s surprising “foldable” feature was soon outcompeted by Huawei, which announced their latest smartphone to also have the same distinctive feature. This race of innovation and updates is the major theme of the technology industry. Moreover, with Huawei snatching the top industry rank of the world last year, there are speculations that the reign of duopoly of tech giants are ending as Huawei may actually be entering the hot competitive market longer than expected. However, if you look closely, the race among these big brands does not merely lie in their product development or innovation. There is more to Smartphone Industry than the Actual Product. Marketing has been one of the key business strategy deployed by the three competitors that propel them into the market and thought leadership. Their strong brand positioning and personified brand personality are what driving the business into generating strong customer base and brand loyalty. The Marketing Director of Huawei explains one of the key reason for Huawei rapid growth in securing the top ranking. The mobile market is a competitive industry as it is dominated by a few giants. However, as the technology industry, specifically the mobile gadget enterprises, compete to become the market leader, there are interesting patterns that the tech contestants display for their marketing strategies and activities. Let’s learn how these marketing points are unique and helpful for Apple, Huawei and Samsung to become the world’s greatest technology brand. Fitting to the industry, expertise and innovation are always at the forefront of their marketing plan. All the three brands consistently establish that each has the future innovation and groundbreaking designs and application. When it comes to content marketing, their campaigns are always targetted to be about the consumer, not the product itself. Apple and Samsung have both accomplished this. Hua Wei has been tailing the two companies in terms of marketing, but boasts their brand positioning of a China’s rapid development and hence innovation. What’s interesting, however, is the competition between Apple and Samsung in their marketing strategies . They both deploy both strong and aggressive marketing strategy, yet different brand positioning. For start, Apple is valued for its design, a core value of the company. The reputation of Apple as it is today is based on the desire strategy that it sets up at each product launch. The positioning of apple once formed by Jobs, still reaps its fruits today. The company cultivates the secret and maintains the loyalty of its followers, always more numerous to queue up in front of the Apple Store. In comparison, Samsung’s marketing strategy is tough and powerful. Global advertising , the use of extreme and terribly expensive posters or high impact audiovisual campaigns. The brand wants to be seen to become a leader. Samsung is banking on marketing when Apple plays all its cards on the design of its products. Its aggressive marketing has enabled it to become world leader and gain the largest number of market shares. From the beginning, the brand stood out with relatively low prices for smartphones with capabilities equal to those of the other side. With a wide range, Samsung devices are more attractive to techies attracted by open source, easy customization of mobile, innovative features and technical capabilities. Recent smartphones and tablets of the brand are now positioned on the high end. The brand positioning of Samsung has been such that it has something for everyone which wide array of products. You can find Apple on YouTube, but that’s about the extent of the company’s official presence on major social platforms. Samsung, meanwhile, handles several YouTube, Twitter, and Facebook pages for Samsung Mobile, Samsung TV, Samsung USA, and more. The tech giant has used these accounts to promote many social campaigns like #OverToYou. For this campaign, Samsung gave its Galaxy S4s smartphone to 12 influential bloggers and YouTubers, asking them to create content and encourage their followers to do the same. Samsung has also connected with major apps and platforms to target audience with social campaigns. Apple, Samsung and Huawei always battle for the biggest and boldest advertising campaign to get all the attention and brand retention. The strategy that the three employed is consistent creative design and concept. This way brand positioning and personality is always coherent and bring easier brand retention. Apple has launched online advertisement campaigns to reach the users. The iPhone website has clean, clear and witty interface. The iPhone advertisement of Apple is similar, always with white background, exotically alluring to the users. And, Apple is never hesitating to highlight the advantages of the products to the target audience. Similarly, Samsung is giving importance on advertisement of Galaxy S. It promotes mobile phones- bringing a dark blue interface in contrast to the white background brought by Apple. Galaxy S is promoted as somewhat vibrant, fast and thinnest mobile phone and the advantages embraced are explained clearly. What’s more, Huawei doesn’t hesitate when it comes to marketing spending. It has been enlisting top entertainment stars as brand ambassadors, hiring last year the likes of actress Scarlett Johansson and football star Lionel Messi to endorse its high-end lines. Walking around European cities like Warsaw and Helsinki, billboards advertising Huawei products are never far from sight. Apple is using publicity for free and yet powerful way to interact with customers. In case of Apple, when more and more people are seen having and iPhone, other individuals get compelled to have the one; this is known as halo effect. In contrast, Samsung is using Social Media such as Facebook to promote its products and all possible channels or marketing. The publicity generated brand awareness and keyword traffic that brought Samsung neck to neck Apple worldwide market share. Huawei also does not lose in attracting attention to their products, and aiming for the world’s number one mobile technology company. Huawei achieved its strong standing by creating large-scale events/exhibitions and collaborating with A-List celebrities for marketing their products. Among these successful collaborations include its teaser campaign for its P9 smartphone, starring Henry Cavill and Scarlett Johansson. The ad highlighted the photographic capabilities of the P9 and P9 Plus smartphones’ 12-megapixel cameras. Henry Cavill represented the monochrome features of the camera, while Scarlett Johansson represented its colorful features. 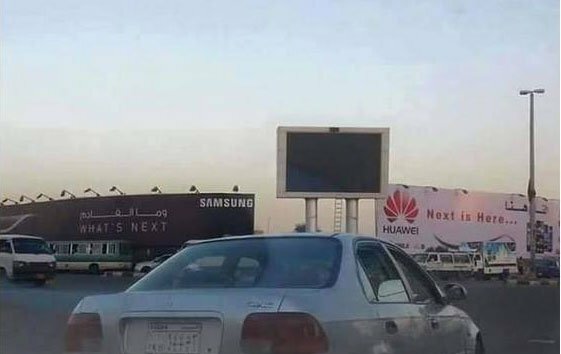 It got started in 2012 when Samsung brought the campaign ‘The Next Big Thing is Already Here’ to promote their new smartphone series, Galaxy S II. In the ad, the company poked fun at Apple customers. The ad not only teased iPhone users with lines like “Why don’t you guys just get 4G phones?” but also took the chance to feature their larger screens. That act helped Samsung to jump-start market share, and proved to become a viral video content powerhouse. Samsung has increased its video efforts by over 360% in the past 5 years; on the contrary, Apple has only leveraged it by 5.8% campaigns a year, within the recent 5 years. Therefore, being controversial and creating sensation were the key factor of attracting public eye. This created more brand awareness and increased in market share. Going viral is definitely an effective marketing strategy in the technology industry. 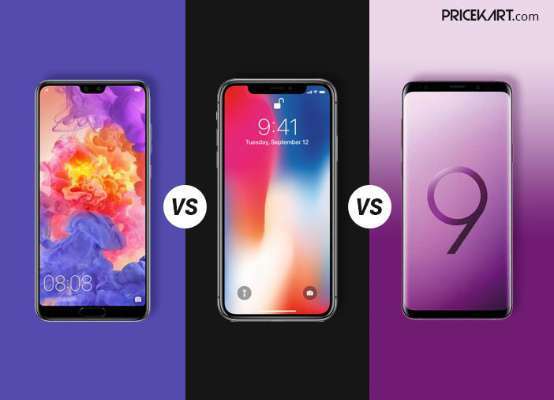 Apple, Samsung and Huawei never stop experimenting to bring various competitiveness strategies, such as new product launch, major innovations, mockups of the rival’s offer, product line extensions, aggressive advertising campaigns as well as lawsuits. There are differences among these three brands as they adopt several techniques to reach the audience in their market effectively. Apple is a leader in the innovation and Samsung is a strong competitor to it, with Huawei fighting for the position. With the competition continue to heat up, there will be more innovative marketing campaigns to be expected. Check out our interesting marketing campaigns for our esteemed client, World Trip Singapore. Let Principal Strategic plan your next move! At Principal Strategic, we talk, discuss, brainstorm and execute innovative ideas of marketing blockchain projects. Our extensive knowledge about blockchain and priority of your business growth allow us to provide tailored and innovative solutions for you to propel your business beyond these obstacles. We have worked exclusively with revolutionary enterprises such as Tokenize Xchange and World Trip Singapore. Check out our interesting blockchain projects we have worked with.